Beets are very colorful and above all very healthy. Again use long beets so you can make long strips. But be careful with the the juice. When spilled on your clothes it’s very hard to get rid of these stains. It makes also stains on you fingers and hands. So you may use kitchen gloves. You can use the julienne beets to bring color to your salades. It brings a subtly sweat touche to your dish. If you like to bring color to a dish, beets are the perfect aid. So many ways to process pumpkins and recipes to cook them. But what do you think about pumpkin linguine or pumpkin vegetable cakes. Pumpkins are ideal for julienning because the inside is not to soft. Best way to cut up the pumpkin is to make hand size rectangular pieces. So you can hold them firm when peeling. Pumpkin julienne can be used in red curies or combined with wild mushrooms or fish like sole. But it’s also tasty it salades or veggie pancakes. Sweet potato spaghetti is my favorite. I find that noodles are better than julienne for spaghetti. I use my noodle maker for this. The sweet potatoes are round and long and fit perfect in to the Spiralizer. My favorite recipe with sweet patties as main ingredient is the following. Shop unions and garlic very fine. Peel you sweet potatoes and make julienne with your julienne peeler. Sprinkle the backed onion and garlic over the sweet potatoes and drizzle some extra virgin olive oil over the tray. If you want you want, you can add extra cheddar cheese on top. Place the backing tray in a preheated oven for 15 to 20 minutes (180° celsius or 360° Fahrenheit). And the last vegetable is maybe the strangest of them all. 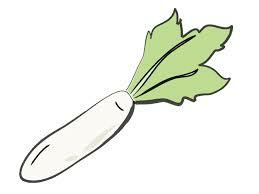 Parsnip is a so-called forgotten vegetables. This vegetable has fallen into disuse. But is and continues to be a super vegetable to cook with. The Parsnip is familie of the carrot. But the taste is more pronounced. So be careful not to use to much if you don’t like strong flavors. My two favorite ways to prepare parsnip julienne is to put them in a fresh salade or incorporate them in to a wrap. I’m also thinking to pickle them.